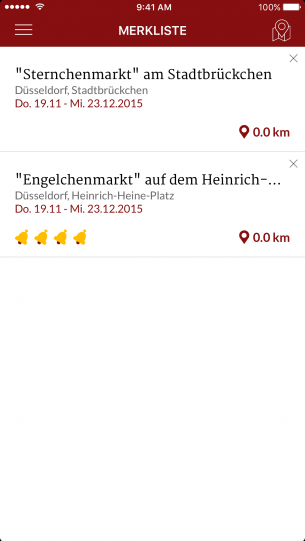 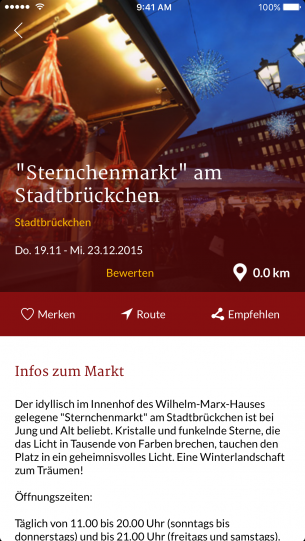 In cooperation with the Rheinische Post we developed the Weihnachtsmarkt App which will present the best locations and the actual opening hours of your local Christmas markets. 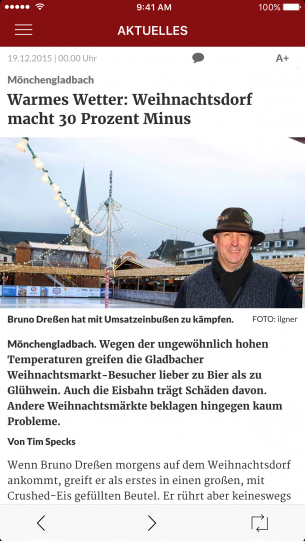 It is Wintertime. 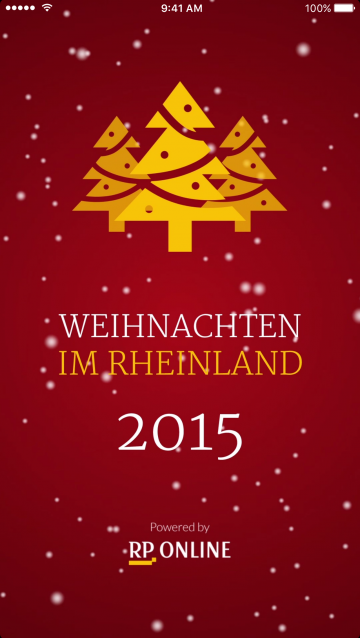 Everyone knows and loves German Christmas Markets. 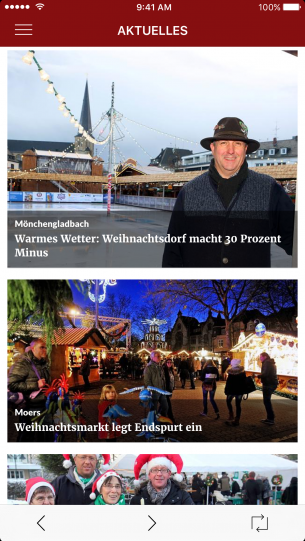 In cooperation with the Rheinische Post we developed the Weihnachtsmarkt App which will present the best locations and the actual opening hours of your local Christmas markets. 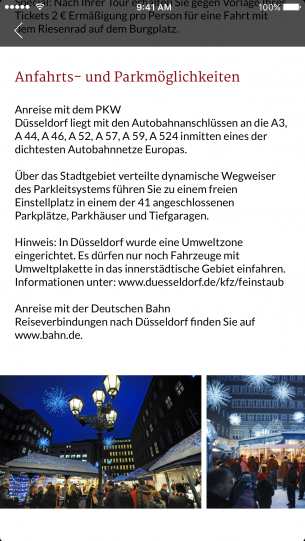 Let the snow begin….